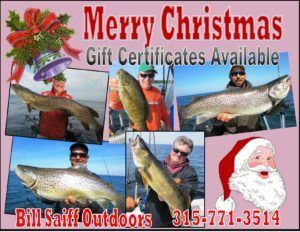 Bill Saiff Outdoors is your “One stop shop” for setting up this type of adventure. We own and operate the WESTVIEW LODGE in Henderson Harbor, NY. The WESTVIEW serves as the back drop for all of our outfitting pursuits. The WESTVIEW consists of a 178 seat “full service” restaurant and bar that is coupled with 12 (2 person occupancy) hotel rooms. Our hunting and fishing clients stay with us, eat, drink and simply walk across the street to start their hunting and fishing adventure. It is wonderful to have everything located in one (easy to access) location. 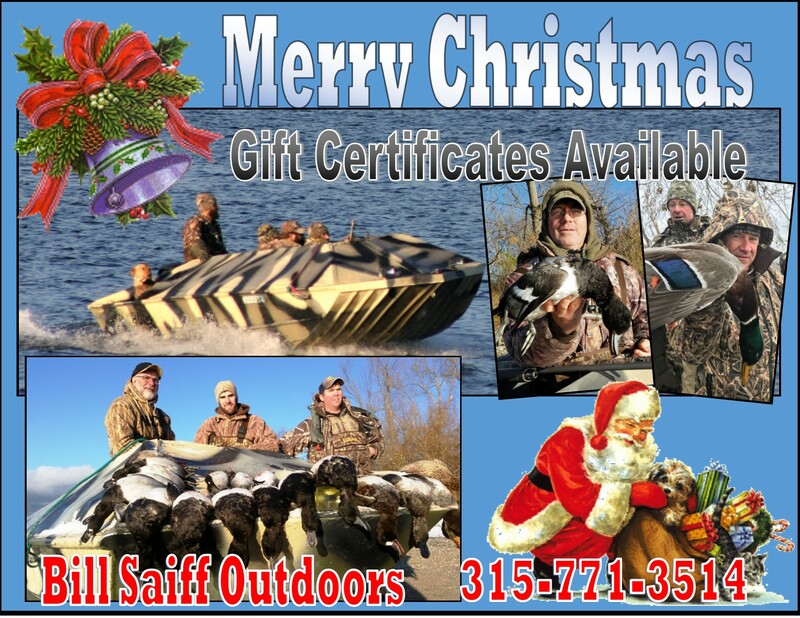 Please consider a GIFT CERTIFICATE this Christmas season for the loved ones that you are buying for…….. 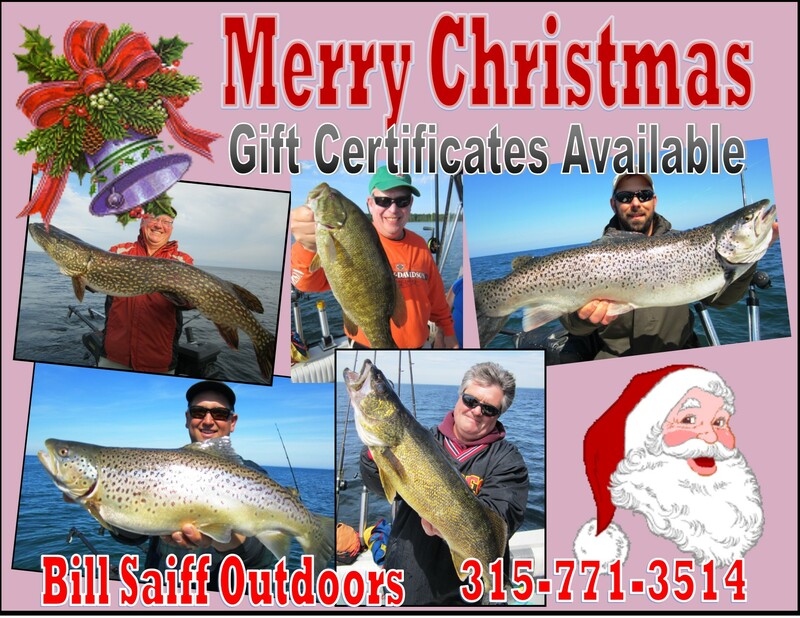 Call us directly at 315-771-3514 and we will “Custom Prepare” a Gift Certificate to your specifications. 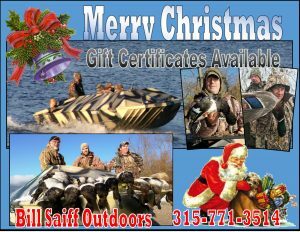 We will e-mail it to you and you can put it under the tree Christmas morning.